The battles continued on "The Voice" last night as coaches pitted contestants against each other for a coveted slot on their team. Coaches Adam Levine, Blake Shelton, Christina Aguilera and Cee Lo Green had a tough time selecting the cream of the crop with such stiff competition. But the decisions had to be made, some which proved surprising. Kicking off the night was Team Christina's pop rocker Josh Logan and Latin-influenced Michael Lynch who took on Maroon 5's "Harder to Breathe." The wordy song proved tough for both contestants who struggled with lyrics during rehearsals. When it came time to hit the stage, though, both were ready for battle with Logan taking the laid-back approach and Lynch just trying to keep up. Green enjoyed their "confidence" but Adam Levine, whose song it was, gave the battle to Logan. Xtina agreed and gave the competition to Logan. Returning singer George Horga Jr. and 16 year-old Juhi repped Team Cee Lo, duetting to Gavin DeGraw's "The Best I Ever Had." Juhi (a.k.a. Juju) had an indie style all her own but guest mentor Miguel said she needed to enunciate; George exuded pop presence but lacked personality. When the battle began, both put their raw talent on the line. The coaches sang praises for Juju with Shelton saying, "there's something that really jumps out at me," and Xtina noting her interesting "vibrato." But in a surprise move, Green chose Horga Jr., for his resilience in returning for a third time, leaving Juhi heartbroken. Levine didn't let the sad moment last long as he swooped in for the steal exclaiming, "I kinda just won the lottery." Both James Irwin and Matt Cermanski returned to "The Voice" stage after multiple failed attempts, winning over coaches. Their talents were put to the test for Team Adam, singing guest mentor Ryan Tedder's song "Counting Stars" for OneRepublic. Irwin, the more natural singer, needed to "inject more soulfulness" while Cermanski needed to breathe more to be on pitch. The "flawed battled" ensued as Shelton pointed out both singers had the "same strengths and weaknesses" in their vocals. Levine believed both had more to give and show the world, deciding to give Irwin another chance. Team Christina's Destinee Quinn and Lina Gaudenzi were "Not Ready to Make Nice." The biker bar singer and former model struggled to connect with lyrics during rehearsals. Aguilera encouraged Gaudenzi to get out of her head while guest mentor Ed Sheeran told Quinn to work on her harmony. You wouldn't know it when they hit the stage because both ladies connected and delivered. "Destinee, I really watched you live that song out loud," Green said, leaving Xtina "torn between emotion or range." After an internal struggle, Aguilera chose Destinee to stick around. And just when you thought it was over for Gaudenzi, Levine made another steal. "I thought there was so much potential," the Maroon 5 frontman revealed. There was no better way to end the night than with Team Adam's James Wolpert and Will Champlain's cover of "Radioactive" by Imagine Dragons. Guest mentor Tedder suggested Wolpert tone down the vibrato and pushed Champlain to "conquer" his nerves. In an energetic, vibrant battle, both artists shined, but Wolpert's "unassuming" persona intrigued coaches Green and Shelton. Levine sided with the boys and Champlain was out. Or not. During his last bow, coach Aguilera clapped and snuck in a button push, stealing the rocker for her team. 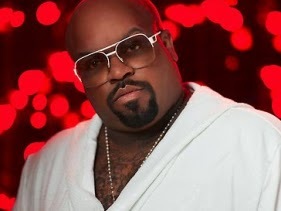 The last round of blind auditions will go down tonight, with Cee Lo Green having the last remaining steal. Who will be the lucky "Voice?"